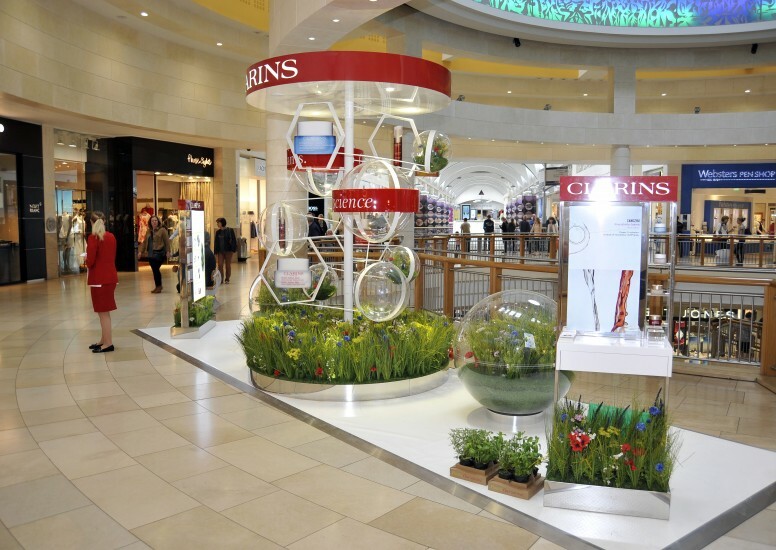 We completed this stunning promotional retail site for Clarins for the ‘Plants our Science’ event. This was exclusive to Selfridges for 2 weeks where we launched at the W1 doors, Oxford St, London before rolling out to promotional sites across the UK. 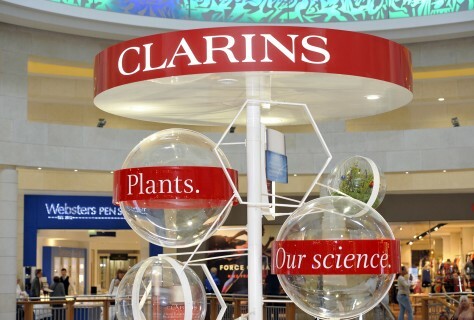 The large site focused on consultation and sharing knowledge on the science behind the vast plant ingredients that go into Clarins products. 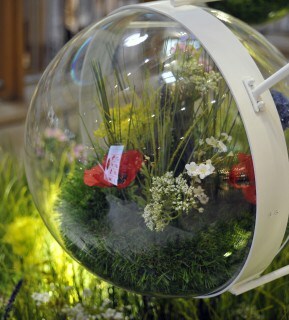 This was further highlighted by live plants carefully planted within the consultation areas and light boxes. The area looks inviting and engaging with lots of tactile props to play with. The use of real key ingredients on the consultation table enhances the interactive quality of the customer experience and as hand layering and other treatments can be offered at the point of purchase. Plus it gives consultants the opportunity to educate and upsell the range of body products and treatment oils that all have plant based active properties. A conceptual ‘DNA’ type display of hanging/interlocking leaf-filled spheres showcases the brand’s scientific credibility and Tester units help to showcase each of the 4 product regimes and their key benefits. 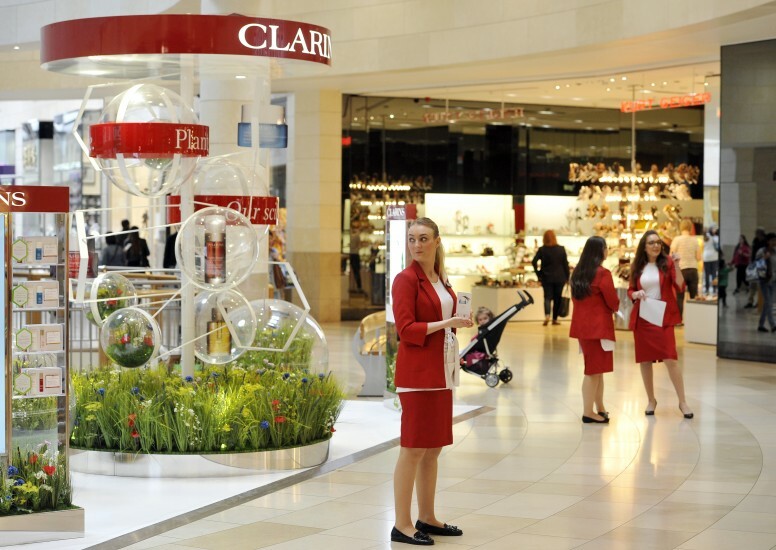 D4R and Clarins have achieved a refined and sophisticated result which will drive sales and further enhance the brand.